State diagrams are one of the most valuable techniques available for describing the real-time behaviour of a software system. A well constructed state diagram denotes all the states that a specific object or class can be in. In addition a state diagram describes when and how transitions between the states occur as a result of external events that affect the object. 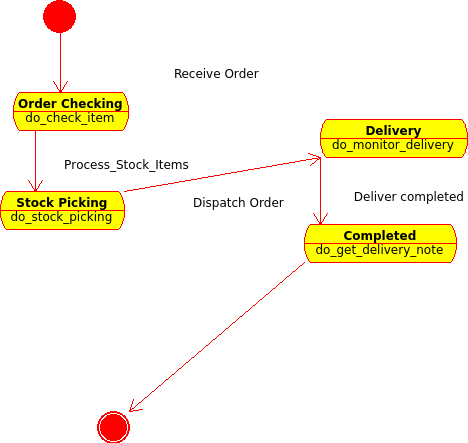 Usually a state diagram is written for each class that exhibits real time behaviour. The UML state diagram has its origins in earlier research work on real time systems and represents the distilled expertise of three decades of research by numerous experts, David Harel, Ed Yourdon, Grady Booch, James Rumbaugh among others.